On Sundays I like to make a meal that will last a few days during the week. 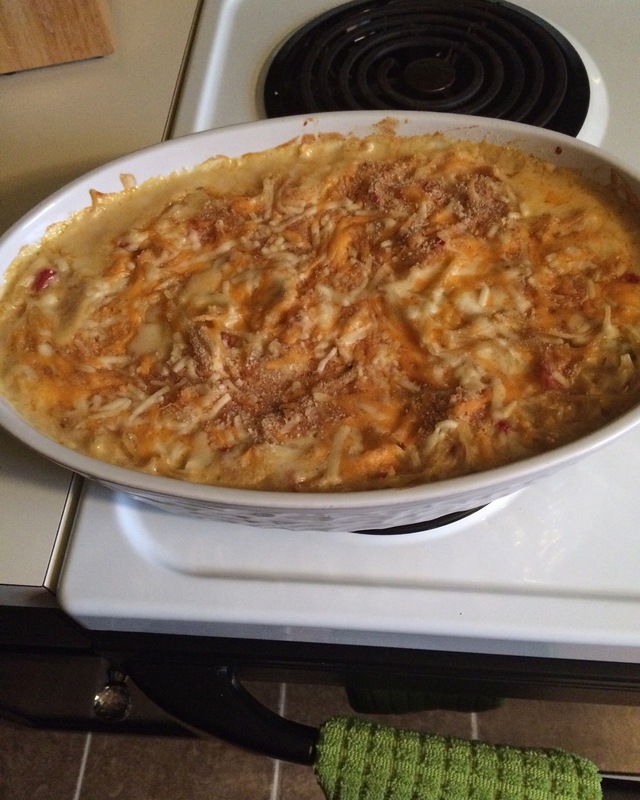 This week’s choice was cheesy chicken spaghetti! I’ve made a different version of this in the past, but I wanted to make some improvements because the first time it didn’t wow me! This time, it came out perfect! So good, but definitely not healthy! 1 small cup sour cream. I used low fat. 2 cups shredded cheese of choice. I used a Mexican cheese blend. Save one cup for the top. It turned out awesome, cheesy, but not too cheesy. I will definitely make it again! Let me know what you think if you try it! This is looks delicious!! I have been looking fore recipes for the Super Bowl. Yummy!! Thanks! It was absolutely delish! Can’t wait to make it again. This could totally work for Super Bowl! I’ve toyed with chicken spaghetti in the past but couldn’t get it quite right. I’m going to try your recipe to see if I can get it right. It looks really good and hearty, perfect for cooler weather. I felt the same way but with this one I think I finally got it right! I’d suggest not using the whole box of spaghetti though unless you want a ton of leftovers.